Choosing the right basement waterproofing team to work with in Oakland County can be challenging. Experience, affordability and customer service are very important aspects of a basement waterproofing company that you should be evaluating as a potential customer. At Foundation Solutions 360, we believe that we are the leader in all of these areas, and we’re eager to get to work for you so that you can get your basement in Oakland County back to full strength in no time! 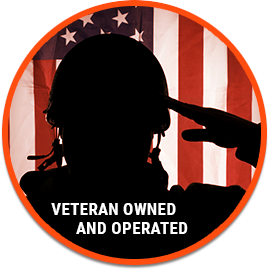 The owners of our Oakland County basement waterproofing company are proud veterans focused on honesty and humility. So, while the veterans on our staff are proud to have served our country, we are also proud to serve members of the Oakland County community with all their basement waterproofing needs. Additionally, we offer our clients more than 20 years of basement waterproofing experience, so you can bet that we’ve seen it all when it comes to water damage in a basement. Over the years, we’ve established a proven track record including both big and small basement waterproofing projects completed by our licensed and insured professionals. Over the years, our crew at Foundation Solutions 360 has found that many homeowners delay fixing the water damage in their basement because they fear the cost of completing the work. To help alleviate some of this stress and to encourage members of the Oakland County community to invest in basement waterproofing services, we offer a complimentary basement waterproofing estimate. One of our trusted team members will arrive at your home and perform a thorough inspection of your basement to identify any water damage that you may have. From there, we’ll provide you with a detailed estimate that will break down the costs of the project. The best part about our complimentary estimate is that there are no obligations requiring you to move forward with the basement waterproofing project. If your home in Oakland County has recently fallen victim to water damage, it’s time to call the basement waterproofing experts at Foundation Solutions 360. Give us a call at (855) 532-5360 to request your free basement waterproofing estimate today.